How is it the second week of September already? If only it actually felt like fall here in South Florida. I am wishing for some cooler weather but I guess I will have to settle for some fall themed dessert features : ) We are slowly back into the school year swing of things so hopefully I will continue to stick to regular blogging and updates. Make sure you stop by and check out my Stella & Dot online trunk show this week and see some of the gorgeous jewelry on sale. Ready for the party? It is getting harder and harder to chose features but I am so grateful for all you linking up and spreading the word to new linkers. This week's most clicked link up was this amazing (and not that bad for you) Skinny Cornbread Casserole from Skinny Kitchen. Onto the fall dessert features! 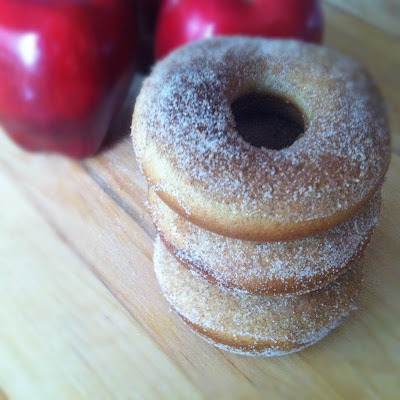 First I picked these yummy looking Baked Apple Cider Donuts from What's Cooking In The Burbs. I am obsessed with my Wilton Donut pan so I cannot wait to make these. Next up is another feature from the apple family. These Baked Apple Pie Tortilla Rolls from Sweet Little Bluebird look like the perfect treat for a cool evening. I am hoping for a sale on apples soon so I can make some. Last but certainly not least is decadent looking Pumpkin Cinnamon Roll Sheet Cake from Mandatory Mooch. I feel like this would be the perfect Thanksgiving dessert. Maybe topped with a little vanilla ice cream? Too much? Thank you all again for linking up! I love having lots of new menu ideas to add to our weekly rotations. I would love for you to spread this word about this link up by grabbing a button or by linking back. The more the merrier! You can also check out my Pinterest board for Mealtime Monday Features where I will be pinning the original links to the items featured here each week. Can't wait to see what you have been up to lately and I love being inspired by all the delicious looking dishes you create. I will be featuring my favorites next weekend and I will be pinning things to my Pinterest boards too. Make sure you check out my Link Ups page for lots more fun places to link up at too. As an added bonus you can now become our Facebook fan too! Yum to all those good looking features!!! Thank you so much for hosting the great party!!! Thanks so much for the feature! :) Have a great week and thanks for hosting! 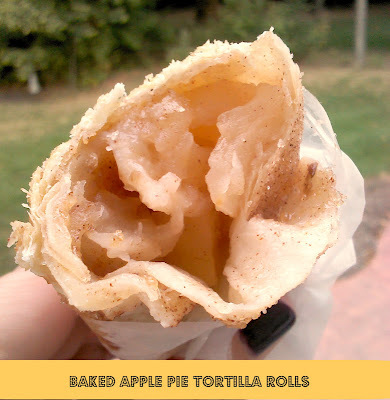 Hi Kaylee, Thank you so much for featuring my Baked Apple Pie Tortilla Rolls! I love all the features! Thanks for hosting, too! Off to check out shares...I'll be pinning away! Cheers! Wow Kaylee...I'm so happy so many enjoyed my recipe-Skinny Cornbread Casserole! Thanks for highlighting it! Also, thanks again for hosting this week. Thanks so uch for hosting and the invite! All linked up and following you too :) Have a wonderful day! Awesome looking features! Thanks so much for hosting!